This page will list the major possible effects of global warming and provide references to current research on this subject. It is meant to include effects that are certainly happening or most likely happening as well as merely possible effects. So, the inclusion of an effect on this list is not in itself a comment on whether the effect is certain, likely, or merely possible. The role of global warming in causing floods, droughts and other extreme weather events is much argued. It is particularly difficult to attribute individual events to global warming, but in February 2011 two papers appeared on this topic. Pardeep Pall, Tolu Aina, Dáithí Stone, Peter Stott, Toru Nozawa, Arno Hilberts, Dag Lohmann, and Myles Allen, Anthropogenic greenhouse gas contribution to flood risk in England and Wales in autumn 2000, Nature 470 (17 February 2011), 382–385. Abstract: Interest in attributing the risk of damaging weather-related events to anthropogenic climate change is increasing. Yet climate models used to study the attribution problem typically do not resolve the weather systems associated with damaging events such as the UK floods of October and November 2000. Occurring during the wettest autumn in England and Wales since records began in 1766, these floods damaged nearly 10,000 properties across that region, disrupted services severely, and caused insured losses estimated at £1.3 billion. Here we present a multi-step, physically based ‘probabilistic event attribution’ framework showing that it is very likely that global anthropogenic greenhouse gas emissions substantially increased the risk of flood occurrence in England and Wales in autumn 2000. A popular simple thermodynamic argument assumes precipitation extremes are constrained to change with the water vapour capacity of the atmosphere that can be determined, under conditions of constant relative humidity, using change in mean surface temperature alone according to the Clausius-Clapeyron relation38. This argument is typically invoked in the aftermath of floods as an explanation for possible increases in such severe wet events under an anthropogenically warming climate. While this is an oversimplified treatment not fully accounting for the complex hydrometeorology typically associated with UK flooding, it may nevertheless provide a physically plausible first guess of increases in mid-latitude precipitation extremes under warming. Indeed, a recently updated analysis of observed atmospheric column water vapour for past decades finds increasing trends over the UK and western Europe, and a significant autumnal increase more generally over Europe and the Northern Hemisphere; and this appears in agreement with a similar analysis finding increases in observed atmospheric humidity under warming for these regions that are within expected moistening rates for near-constant relative humidity.This latter analysis in particular appears broadly consistent with observations of Clausius-Clapeyron scale increases in surface specific humidity (the principle source for the free-troposphere) under warming over past decades, again with near-constant relative humidity – including for an European region incorporating the UK. Since these surface specific humidity increases have been attributed to mainly anthropogenic drivers, this lends support to a thermodynamic mechanism for increasing UK precipitation, and hence flooding, under anthropogenic warming. Here we use this thermodynamic argument to deduce the reduction in observed England and Wales total daily precipitation extremes for an autumn 2000 climate, had estimated twentieth-century surface warming attributable to anthropogenic greenhouse gas emissions not occurred. Then regarding this reduction in precipitation extremes as a direct measure of reduction in flooding, we calculate the fraction of attributable risk (FAR) of these extremes, and compare it to the FAR of autumn 2000 flooding explicitly modelled in terms of severe daily river runoff using our more rigorous multi-step probabilistic event attribution (PEA) framework of the main text. Pardeep Pall, Tolu Aina, Dáithí Stone, Peter Stott, Toru Nozawa, Arno Hilberts, Dag Lohmann, and Myles Allen, Anthropogenic greenhouse gas contribution to UK autumn flood risk, Geophysical Research Abstracts 12, EGU2010-12930, 2010. Seung-Ki Min, Xuebin Zhang, Francis W. Zwiers and Gabriele C. Hegerl, Human contribution to more-intense precipitation extremes, Nature 470 (17 February 2011), 378-381. Abstract: Here we show that human-induced increases in greenhouse gases have contributed to the observed intensification of heavy precipitation events found over approximately two-thirds of data-covered parts of Northern Hemisphere land areas. […] Changes in extreme precipitation projected by models, and thus the impacts of future changes in extreme precipitation, may be underestimated because models seem to underestimate the observed increase in heavy precipitation with warming. Alyson Kenward, Scientists identify human connection to precipitation extremes, Climate Central, 16 February 2011. The severe loss of summertime Arctic sea ice appears to enhance Northern Hemisphere jet stream meandering, intensify Arctic air mass invasions toward middle latitudes, and increase the frequency of atmospheric blocking events. 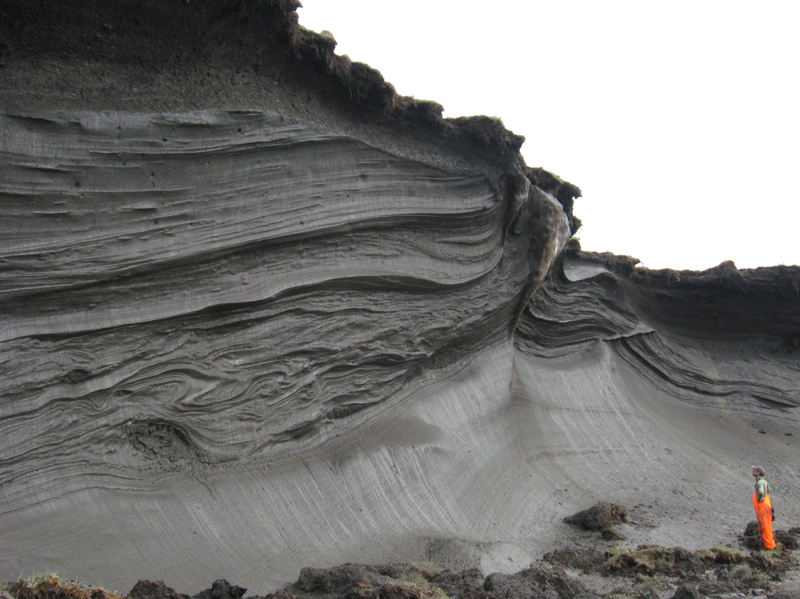 there is increasing evidence that the loss of summertime Arctic sea ice due to greenhouse warming stacks the deck in favor of (1) larger amplitude meanders in the jet stream, (2) more frequent invasions of Arctic air masses into the middle latitudes, and (3) more frequent blocking events of the kind that steered Sandy to the west (Francis and Vavrus, 2012; Greene, 2012; Greene and Monger, 2012; Liu et al., 2012). Although a direct causal link has not been established between the atmospheric phenomena observed in late October 2012 and the recordbreaking sea-ice loss observed during the preceding summer months, all of the observations are consistent with such an interpretation. Therefore, if one accepts this evidence and line of reasoning, and also takes into account the record loss of Arctic sea ice this past September, then perhaps the likelihood of greenhouse warming playing a significant role in Sandy’s evolution as an extra-tropical superstorm is at least as plausible as the idea that this storm was simply a freak of nature. And, the subsequent invasion of Arctic air that unleashed a fully developed nor’easter on the victims of Sandy only a few days later just makes the argument even less convincing that this series of unfortunate events was largely an act of nature. An important consequence of climate change is higher frequency and severity of droughts (Seager et al. 2007). In addition to directly affecting tree death through carbon starvation and cavitation of water columns within the xylem, climatic water stress can have profound effects on tree susceptibility to bark beetle attack. Pine forests in British Columbia have been devastated by a pine beetle infestation, which has expanded unhindered since 1998 (…). The infestation, which (by November 2008) has killed about half of the province’s lodgepole pines (33 million acres or 135,000 km²) is an order of magnitude larger than any previously recorded outbreak. Whitebark pine (Pinus albicalus) is a slow growing, long-lived, stone pine of high-elevation forests and timberlines of the northwestern United States and southwestern Canada. The oldest whitebark pine exceeds 1275 years in age and occurs in the mountains of central Idaho (Perkins and Swetnam 1996). Because of the dependence of many animal species on this food source, whitebark pine is considered keystone species of the subalpine forests (Tomback et al. 2001). Abstract: (…) In the North Cascades 9 of the 12 examined glaciers exhibit characteristics of substantial accumulation zone thinning; marginal recession or emergent bedrock areas in the accumulation zone. (…) Without a consistent accumulation zone these glaciers are forecast not to survive the current climate or future additional warming. The results vary considerably with adjacent glaciers having a different survival forecast. This emphasizes the danger of extrapolating survival from one glacier to the next. I wish I could say this is sound science, but it is not. All of the glaciers in Glacier National Park have retreated significantly in the last 40 years, and a number have disappeared. This is a compelling story of glacier loss. However, about a third of the remaining glaciers, 10 of 30, have lost less than a quarter of their area since 1966 when the USGS first mapped these glaciers. At this rate they will last well past 2020 or 2030. The focus has been on the rapidly shrinking glacier[s] by this team of non-glacier scientists and they are correct that the Sperry and Grinnell are rapdily declining and will not last for long. However, glaciers such as Jackson and Harrison have lost less than 15% of their area in the last 40 years and will survive well past 2020. 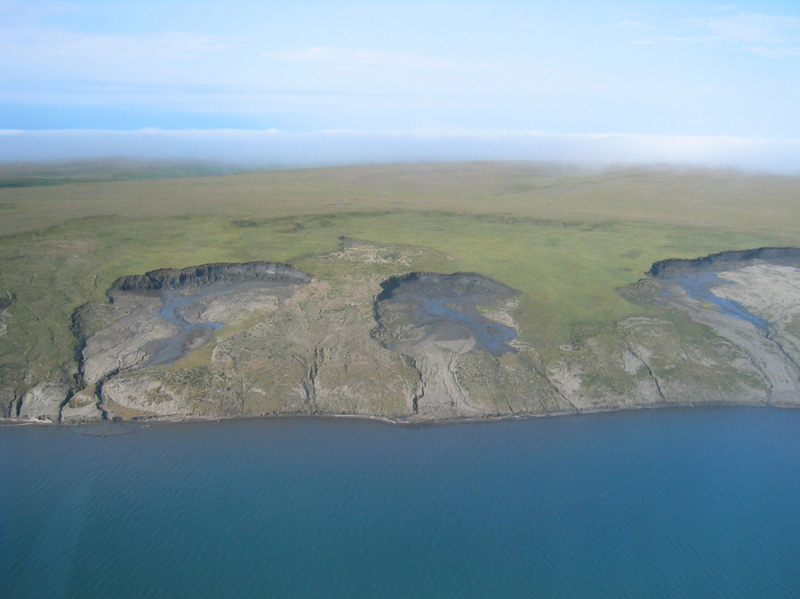 For more see Permafrost and Arctic methane deposits. From 1950 to 1999 the majority of the world’s highest quality wine-producing regions experienced growing season warming trends. Vintage quality ratings during this same time period increased significantly while year-to-year variation declined. Currently, many European regions appear to be at or near their optimum growing season temperatures, while the relationships are less defined in the New World viticulture regions. Historical evidence supports the connection between temperature and wine production where winegrape-growing regions developed when the climate was most conducive (Le Roy Ladurie, 1971; Pfister, 1988). Records of dates of harvest and yield for European viticulture have been kept for nearly a thousand years (Penning-Rowsell, 1989) revealing periods with more beneficial growing season temperatures and greater productivity. During the medieval “Little Optimum” period (roughly 900–1300 AD) vineyards were planted as far north as the coastal zones of the Baltic Sea and southern England, and during the High Middle Ages (12th and 13th centuries) harvesting occurred in early September as compared to early to mid October today (Pfister, 1988; Gladstones, 1992). Shaw’s team proposed measuring the carbon isotopes—a chemical fingerprint—in 100 bottles of vintage French wine over time. To ensure data quality, they would only sample wine from long-established vineyards that kept careful records of temperatures and growing conditions. In the same file was a New York Times review by wine critic Frank Prial of classic Bordeaux vintages, including a $300 Lafite-Rothschild bottle from 1945. 59°N is north of Scotland (Orkney Islands).